Yahoo! 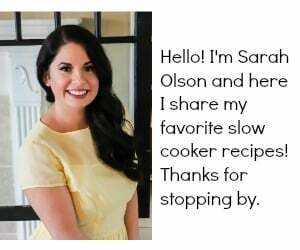 My recipe for “Beefy Bacon Man Stew” was in the top 10 recipes at the Crock-Pot Seasoning Mixes Recipe Contest! It was a great experience, but I didn’t win, the recipe for Citrus Spicy Spare Ribs won, it was a great recipe. 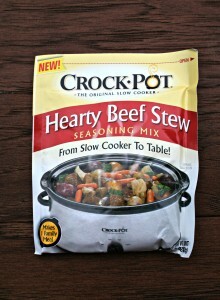 The seasoning packet I used in this Beefy Bacon Man Stew is the Hearty Beef Stew Seasoning Mix. These little packets have amazing flavor, and really transforms a recipe into a delicious meal! 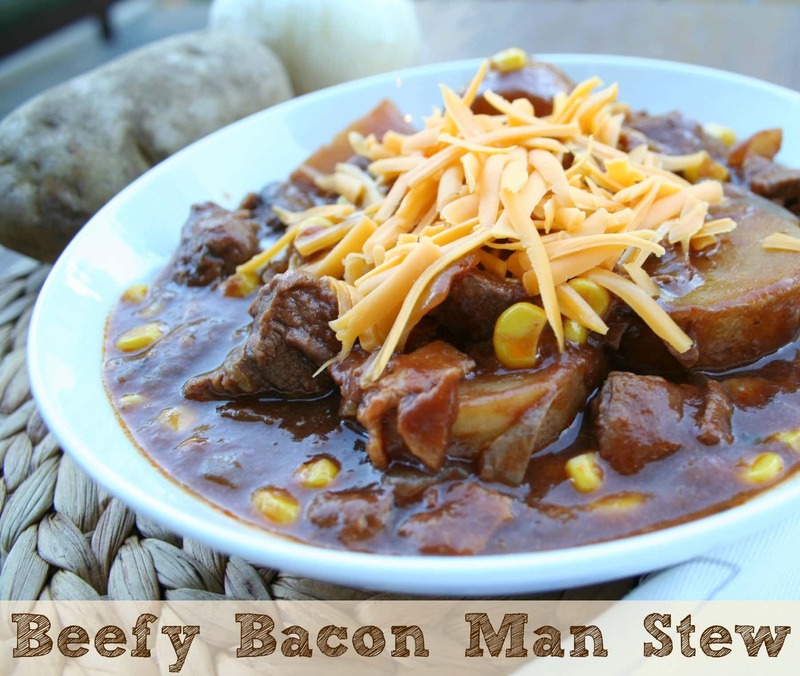 You won’t disappointed in this Man Stew: Beef, Bacon, Potatoes, Green Chiles, Corn, and Cheese, quite frankly a perfect meal to me! The Crock-Pot Brand Seasoning mixes are sold regionally at Harris Teeter, Kroger (Fred Meyers), H.E.B., Walmart, K-Mart, and Target! In your crock-pot, add the Crock-Pot Hearty Beef Stew Seasoning Mix, beef broth, and tomato paste, whisk well to combine. Add stew meat, cooked bacon, chiles, sliced potatoes, diced onions, and minced garlic. Stir everything together. 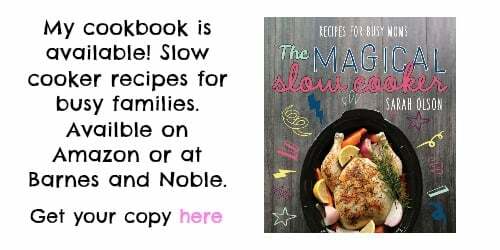 Turn crock-pot to low, and cook for 8 hours. Do not open lid during cooking time. After cooking time is done, add drained corn and stir. Ladle stew into serving bowls, and top each serving with 1/4 cup sharp cheddar cheese. Serves about 6. 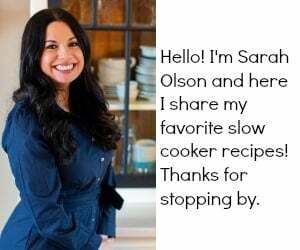 I used a 6 quart size Crock-Pot. This looks amazing. And I’m very picky about Beef Stew. I’ve made the most awesome Beef Stew for many years (since I was 19, and I’m 61 now) called Old Fashioned Beef Stew. It’s a concoction of stew beef with many spices, onions, carrots, mushrooms, and potatoes also cooked in a slow cooker. The secret spice is Allspice. Just a little and it adds something special to it. Also, plenty of black pepper. 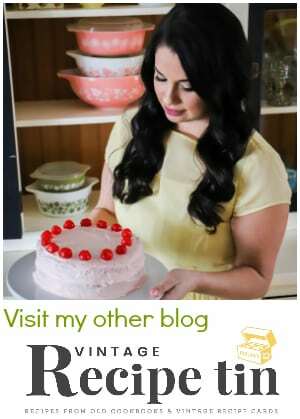 But this one, your recipe, I’ve GOT to try. It looks so good and easy!!! Thanks Trish! I’ll have to try your Allspice idea! Sounds yummy! 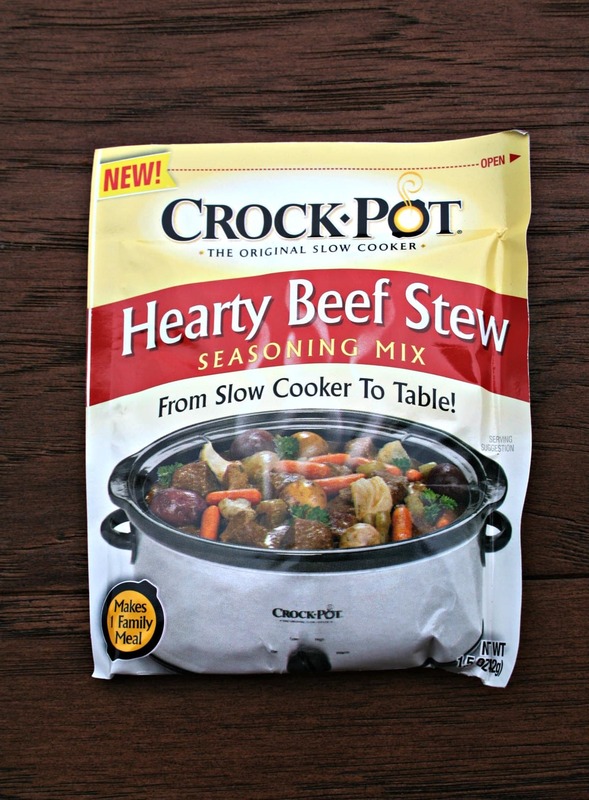 Is the type of cut very important or will any cut of beef do well in the crockpot. IE a cheaper cut?? I think any cut would do good!